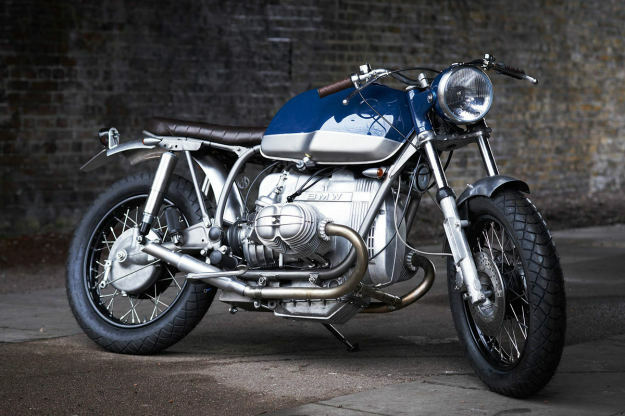 Untitled builds interesting and usable old school motorcycles in a small workshop under the railway arches in north London. And they’re doing a very good job of it too. 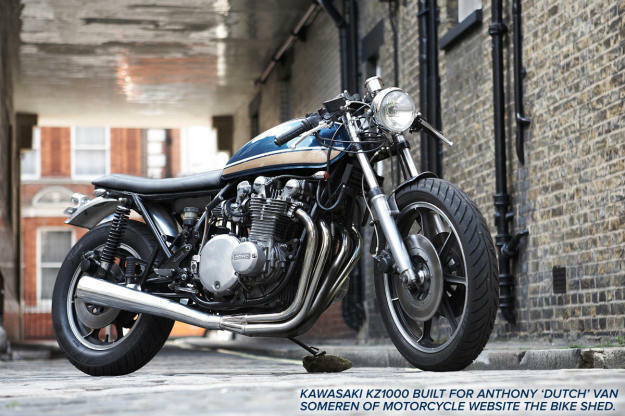 So when we read an interview with Untitled’s co-founder Adam Kay in Classic Bike Guide, we jumped on it. 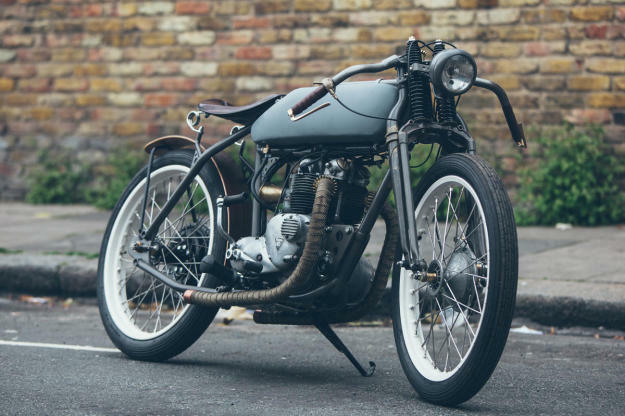 It’s a great counterpoint to John Ryland’s piece on building custom motorcycles for a living. 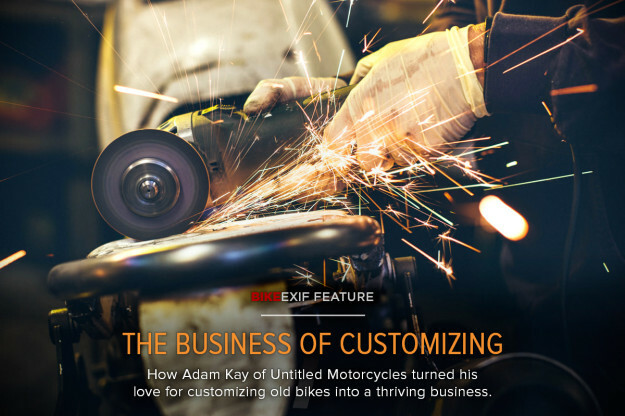 Rex became Adam’s business partner, and Untitled Motorcycles was born. WHAT WAS YOUR BIG BREAK? 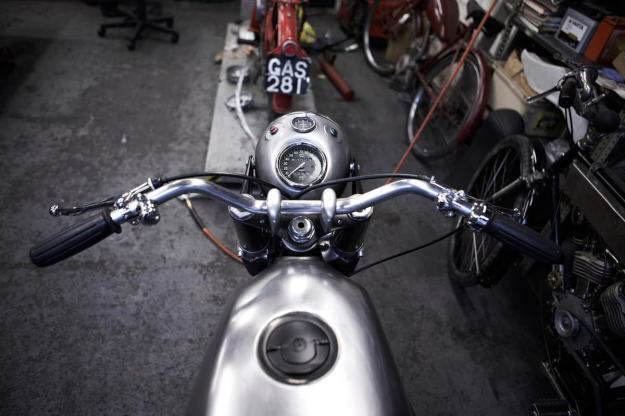 “A guy who used to hang out at the workshop suggested Rex and I build a couple of bikes to show at the Alexandra Palace Custom Show. I think our BMWs were the only non-Harley bikes there. “We took the BMW badges off and called them ‘Untitled.’ We put price tags on both bikes, which were way too expensive and took a year to sell. But we got several projects as a result of that show. 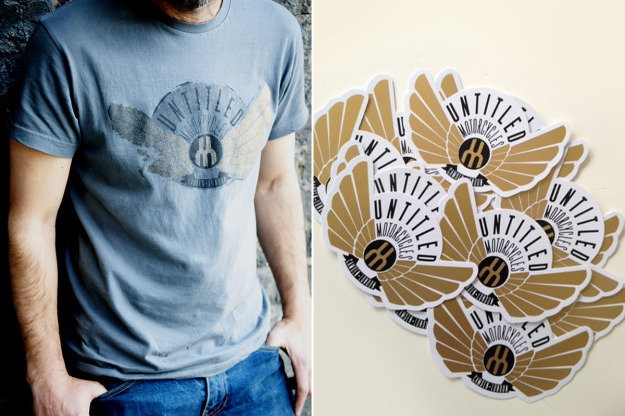 Since then, Untitled has become a highly respected shop, known for its ‘urban’ and rideable street bikes. They’ve been featured extensively online and in the new wave custom bible The Ride. 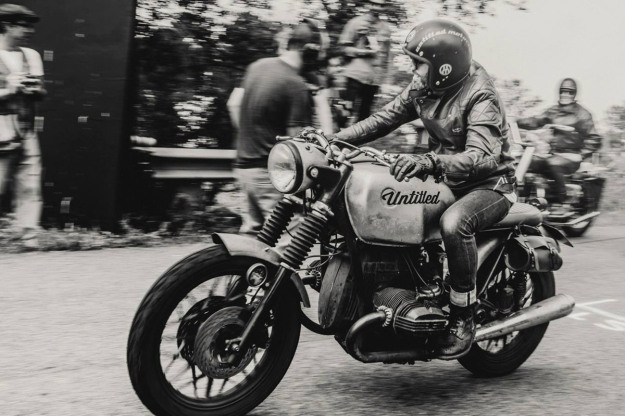 Until now Untitled has focused purely on bike building, but Adam is looking to expand operations and build on the brand. SOCIAL MEDIA: DOES IT WORK? “We’ve promoted our business through Facebook, Instagram, Pinterest and Twitter. You get ‘likes’ but does that translate into business? I think so. People in the USA like our old school motorcycles and that’s purely though the internet. Our web stats show that a big percentage of our traffic comes from America. The internet also carries a lot of negativity, which can divert attention if taken seriously. But that doesn’t worry Adam. “At least they offer an opinion, even if it might not be a view you share. And it’s good to create discussion. HOW INVOLVED ARE YOUR CLIENTS? “We’re getting more and more customers coming in to the workshop to help build their own bikes, and we’re teaching them. It’s worked so well, we’re considering setting up a series of bike building courses. 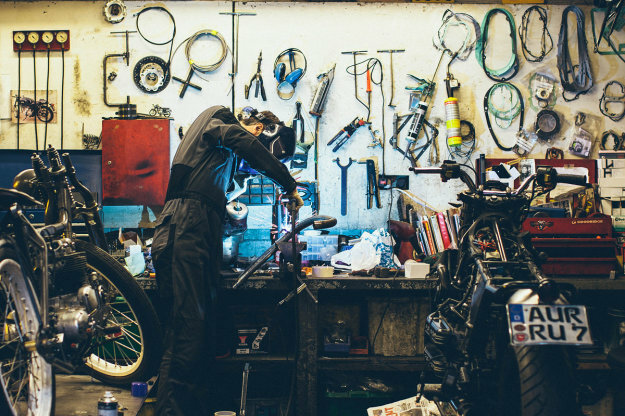 And that’s the reason Untitled are willing to help newcomers by encouraging them to participate in their own bikes builds and showing them some of the techniques. As a society we stopped doing hands-on years ago. 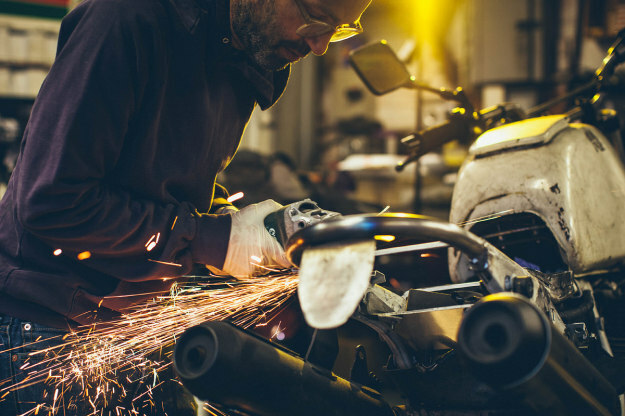 Manufacturers of motorcycles—and cars, electronics and household appliances—use planned obsolescence. Nothing is built-to-last, and it’s no longer built-to-fix either: at least not without a degree in computer science. 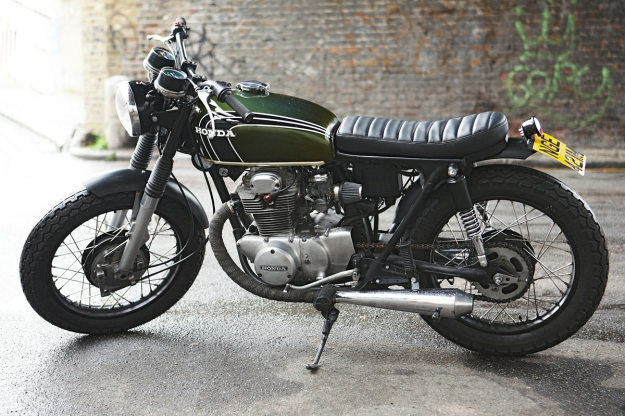 Like many people interested in new wave cafe racers and street trackers, Adam is amazed that manufacturers have been slow to sell bikes that are easily customized by new riders. 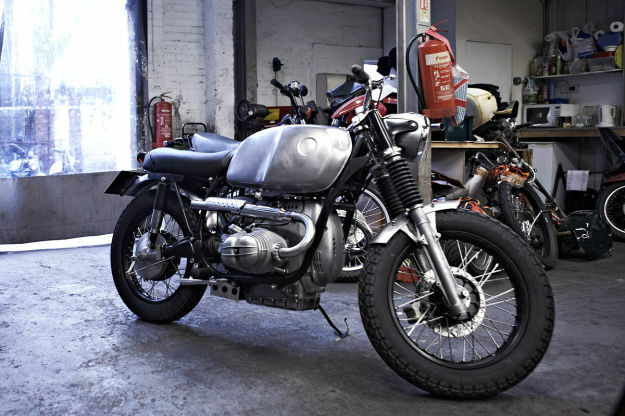 And that’s despite companies dipping their toes into the scene with sponsorship of custom shows like The Bike Shed Event. “It’s great what BMW is doing with the R NineT but it’s also a twelve grand bike. It’s a great base for customization but what young kid, just into biking, can afford that? It’s the same with the Yamaha Bolt. Why not do that with smaller-capacity bikes that can be easily modified and will inspire kids to get into bikes? 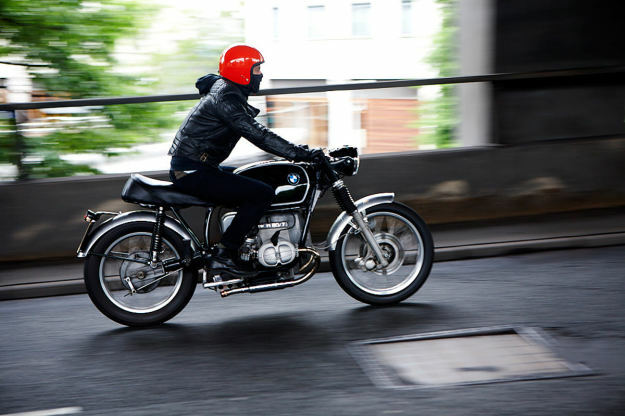 “I think that’s why classic bikes have become popular among younger riders. They want to get into doing things with their hands: it’s an untapped hunter-gatherer instinct or something. It’s sad that schools have closed engineering workshop classes. Who’s going to do that kind of work if you don’t get introduced to the basics at school? “People want to get their hands dirty and they’re bored with modern bikes they can’t touch. People want to feel stuff and modern bikes are so unemotional. The old stuff, you feel it, you touch it, and it’s visceral. Yes, old school motorcycles need looking after but that, in itself, adds value. It’s more of an experience riding old bikes. You can feel an old bike throbbing away. A version of this article by Gary Pinchin appeared in Classic Bike Guide. Reproduced with thanks. 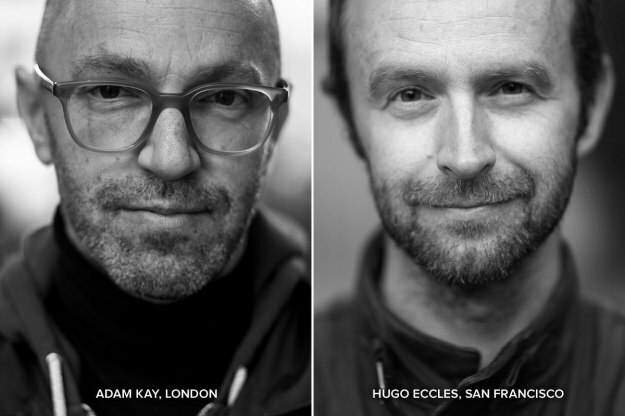 Images by Damian McFadden, except Hugo Eccles portrait by Erik Jutras.